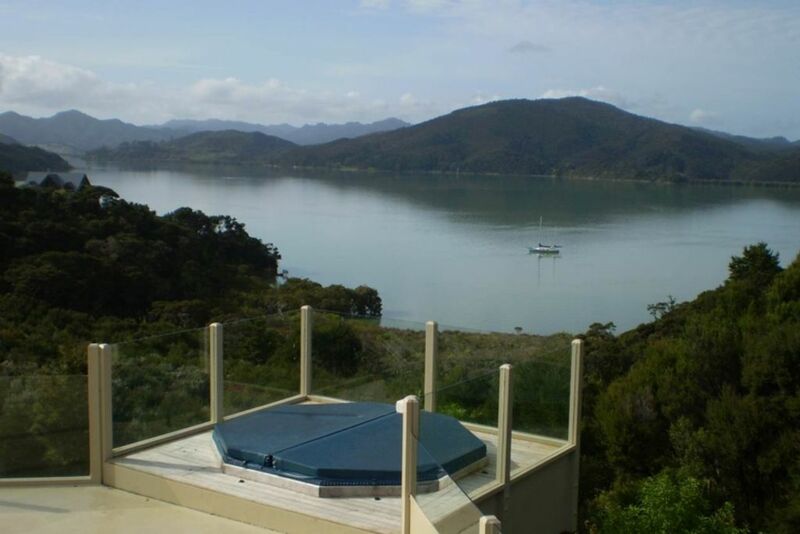 Come and relax and get away from it all on 15 acres of bush and farmland overlooking the tranqual Waikare inlet, privately located surrounded by nature and birdsong. We are five minutes drive from Romantic Russell for all the cafes, entertainment and activities. Enjoy our spa pool under a beautiful star lit sky in aboslute peace and quiet, the only sound will be native birds calling, often including our native Kiwis. Your free to wander all over our propety exploring native bush, our little beach where you can go kayaking and our friendly sheep and lambs. Minimum of 3 night stay, summer and winter rates apply. Long weekends are at peek rates eg: Easter, Labour weekend, Anzac, Queens birthday. Beautiful home - wonderful views! We loved our time at the Waikare Retreat! Katrina and Miles were such gracious and generous hosts - they made us feel so welcome. (And, were kind enough to let us use their hot tub!) It's a beautiful home with amazing views - we would stay again! Had a relaxing, peaceful stay, nice and spacious. Enjoyed a Kayak in the Inlet and spa. A gorgeous hideaway with excellent hosts. Took my mum for a quick break in Russell and this recommendation from a colleague was exemplary. This place was immaculately clean, with gorgeous homely touches. Even the books on the shelves seem to have been well thought out and there was something for everyone. The attention to detail at the retreat really makes for a memorable stay. We wanted for nothing, and we’re offered a heap of useful advice that really made our trip. We borrowed the kayaks and went out round the bay, we sat next to the water on the private beach with a bottle of wine and chatted away the hours at sunset and we slept better than we’d both slept for years waking up to a panoramic view of the most amazing landscape. Fully kitted out kitchen and amazing shower too. Thanks so much for the detour advice too Katrina! We went via opononi and hit up the look out point and a few walks, went past Tane mahuta and saw so much more than we would’ve otherwise.. ur a star!& Thanks for having us again! Quiet, comfortable, with all you could need in the kitchen. Loved seeing the weka on the deck. Amazing place with amazing hosts! very accommodating to some Aussie boys! The house was perfect for us (one couple, two kids). The space is more than enough and the view is magical. Ten minutes drive to Russell if you feel like visiting town.